The Learning Lodge™ is VTech's download manager. Using Learning Lodge™ you can redeem your free download credits; purchase and download additional games, e-books, music and videos; manage your files and even track your child's learning progress. 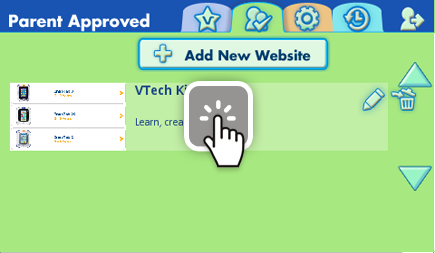 Want to know how to set up an account on VTech's Learning Lodge™ in a few easy steps? This tutorial video will walk you through it and make signing up a breeze! This video shows you how to create an account and register the InnoTab 3S on Learning Lodge. Note: This video is specifically for InnoTab 3S registration. 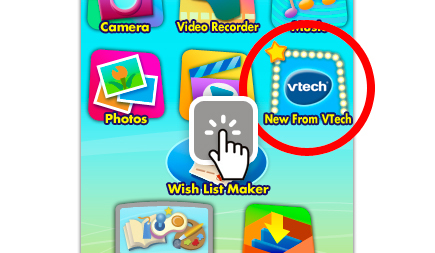 If you wish to register a different VTech product, please see the video "Creating an Account and Registering on Learning Lodge". 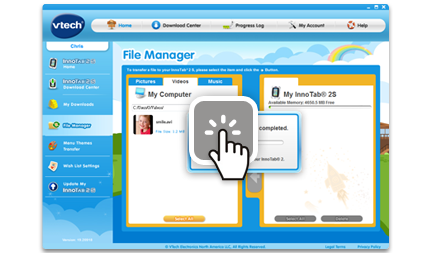 You can manage your parent account and your VTech® Toy profiles using the Learning Lodge™. This tutorial will help explain how. To proceed, you will first need to install Learning Lodge™ on your computer and register your VTech® toy. For more information, please see the "Introduction to and Installing Learning Lodge™" and "Creating an Account and Registering on Learning Lodge™" tutorial videos for details. Firmware updates will periodically be available to improve the performance of your InnoTab® 3 or 3S. These firmware updates can only be completed by connecting the tablet to your computer with the USB cable and launching Learning Lodge™. The process of updating the firmware for the InnoTab® 3 and 3S is the same as the process for the InnoTab® 2S. Please use this InnoTab® 2S tutorial as your guide. This video shows you how quick and easy it is to use the Learning Lodge™ InnoTab® 3 or 3S home page to access the Download Center to purchase apps; use the File Manager to transfer your photos, music, and more to your tablet, update your tablet’s desktop themes; or update your InnoTab® 3 or 3S firmware. Watch this video to learn more! The process of using the InnoTab® 3 or 3S home page is the same as the process of using the InnoTab® 2S home page. Please use this InnoTab® 2S tutorial as your guide. 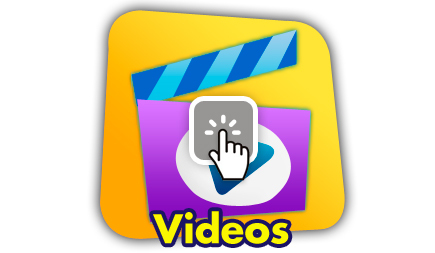 Convert your own videos to play on InnoTab®. Use this tutorial to learn details on what format your tablet requires. 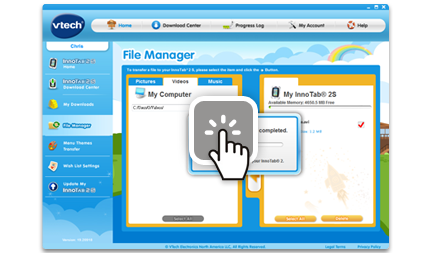 You can transfer videos from InnoTab® to your computer by using the Learning Lodge™. USB connection between the tablet and the computer is needed for the file transfer. This tutorial will guide you from beginning to end. To proceed, you will first need to install Learning Lodge™ and register for an account. 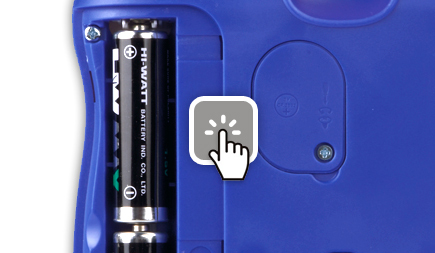 Use this tutorial to learn how to install or change batteries in your InnoTab® 3 or 3S. The Rechargeable Power Pack is a recharging system for the InnoTab® 3 and 3S. It comes with two battery packs plus an AC adapter and makes it easier than ever to keep the InnoTab® powered up and ready to go. Read this tutorial to learn more. 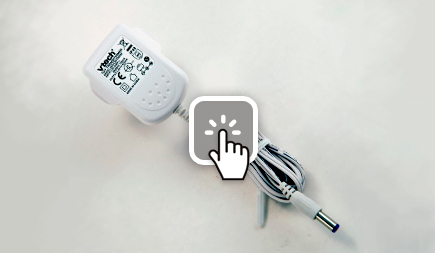 You can use an AC adaptor to power your InnoTab® 3 or 3S. See this tutorial for more details. You can purchase downloadable content and download it for your InnoTab® 3 or InnoTab® 3S by using Learning Lodge™. USB connection between the tablet and the computer is needed for the file transfer using Learning Lodge™. The process of purchasing downloadable content for the InnoTab® 3 or 3S is the same as the process for the InnoTab® 2S. Please use this InnoTab® 2S tutorial as your guide. To purchase downloadable content for your InnoTab® 3 or 3S, you will first need to install Learning Lodge™ and register for an account. Learning Lodge™ is the download manager that can be used to purchase and download learning apps or manage files for all of your favorite VTech® Learning Lodge™ connected toys. 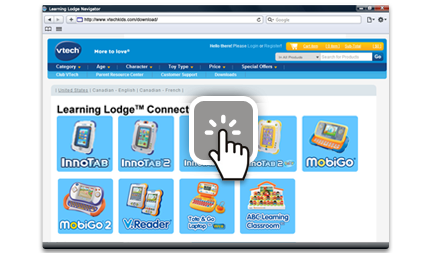 Many of VTech's most popular toys--such as InnoTab® Learning App Tablets, MobiGo Touch Learning Systems and V.Reader Interactive E-Reading Systems--connect to Learning Lodge™, so there is always great new learning content available for your toy. Learning Lodge should automatically download when you connect the InnoTab 3 or 3S to your computer for the first time. If it does not download automatically, read this tutorial to learn about some alternative installation methods. This tutorial will show you how to connect your InnoTab® 3 or 3S to your computer with the USB cable. You can transfer photos and other images from your InnoTab® tablet to your computer using Learning Lodge™. USB connection between the tablet and the computer is needed for the file transfer. This tutorial will guide you from beginning to end. You can transfer videos from your InnoTab® tablet to your computer using Learning Lodge™. This tutorial will guide you from beginning to end. You can take photos with InnoTab®. Use this tutorial to learn how. You can record your own videos with InnoTab®. Use this tutorial to learn more. With InnoTab® 3 and InnoTab® 3S, you can enjoy a large library of e-books, games, music and videos. And you can take your own photos and videos with the onboard camera! To expand your tablet's memory for storing your downloads and creations, you can insert a microSD memory card. InnoTab® 3 and 3S is compatible with microSD memory cards up to 32GB. Note: microSD memory card is not included with the InnoTab® 3 or 3S tablet. 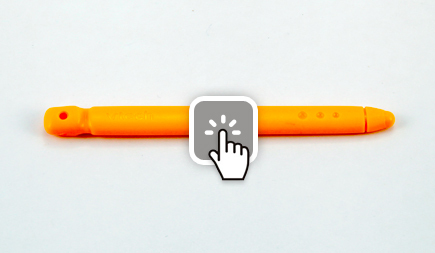 Use this tutorial to learn about using your InnoTab® stylus. 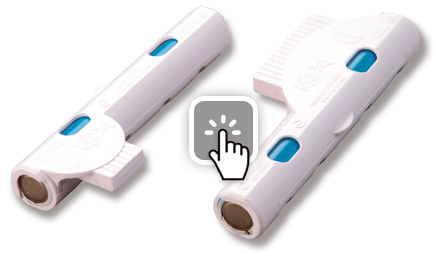 Do you know InnoTab® cartridges (sold separately) can be used interchangeably with all tablets in the InnoTab® family? Watch this tutorial to learn more. The information in this tutorial applies to the InnoTab® 3 and InnoTab® 3S in addition to the products specifically mentioned. 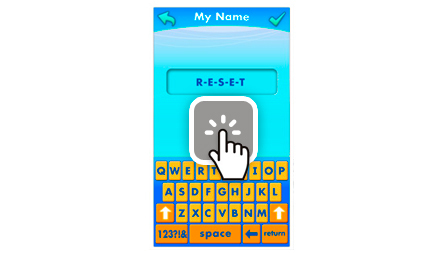 You can reset your InnoTab® tablet to factory settings by typing a code into the "My Name" profile in "Settings". Please read this tutorial to review the process step by step. 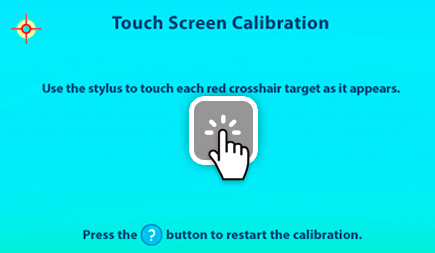 If you encounter problems with your InnoTab® touch screen due to incorrect calibration, this tutorial will help you reset the touch screen calibration. Cut the cables and enjoy secure Wi-Fi app downloads with InnoTab® 3S. 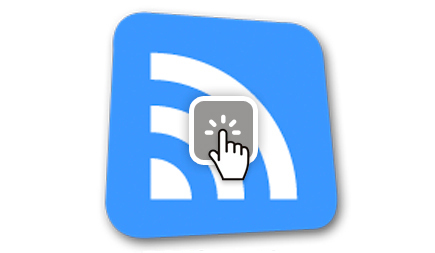 This tutorial will show you how you can easily set up your own InnoTab® 3S Wi-Fi connection. Don’t forget that before you can use this feature, you first have to register your InnoTab® 3S on Learning Lodge™. In just a few easy steps your child will be able to e-mail you their choices for downloadable apps and, if you like them, with just a click you can approve them and the downloads will be sent wirelessly to your child’s InnoTab® 3S! The process of using the Wish List Maker on the InnoTab® 3S is the same as the process on the InnoTab® 2S. Please use this InnoTab® 2S tutorial as your guide, but note that some of the buttons and icons are located in slightly different places. 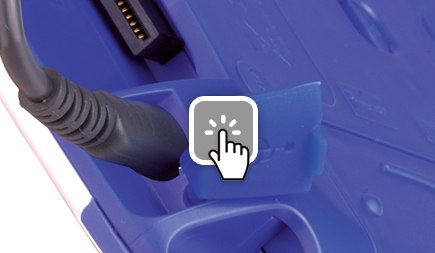 If you cannot find a button or icon, please refer to your InnoTab® 3S manual. 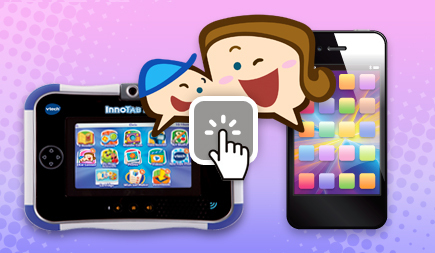 Downloading apps to your child's InnoTab® 3S is fun, quick and easy. Your child will enjoy being in the driving seat as they send you their Wish List choices--but the beauty is that you get to decide which apps to download wirelessly to their tablet. All you need to know to download purchased content is in this video. The process of downloading apps to the InnoTab® 3S is the same as the process for downloading apps to the InnoTab® 2S. Please use this InnoTab® 2S tutorial as your guide, but note that some of the buttons and icons are located in slightly different places. 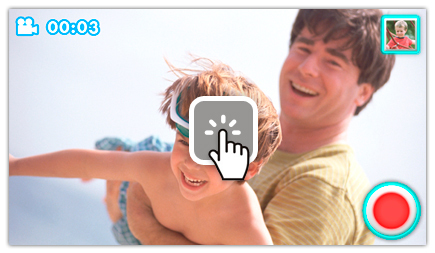 If you cannot find a button or icon, please refer to your InnoTab® 3S manual. You can purchase downloadable content for your InnoTab® 3S by using the Learning Lodge™. With the Wi-Fi download feature, you can download apps directly to your InnoTab® 3S, without having to connect your tablet to your computer. This tutorial will walk through the complete experience from beginning to end. The process of puchasing apps for the InnoTab® 3S is the same as the process for purchasing apps for the InnoTab® 2S. Please use this InnoTab® 2S tutorial as your guide, but note that some of the buttons and icons are located in slightly different places. 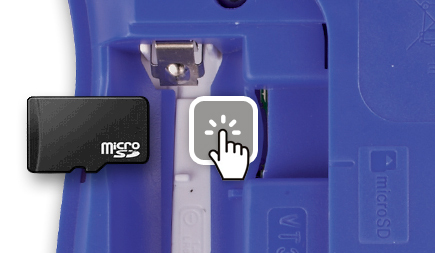 If you cannot find a button or icon, please refer to your InnoTab® 3S manual. 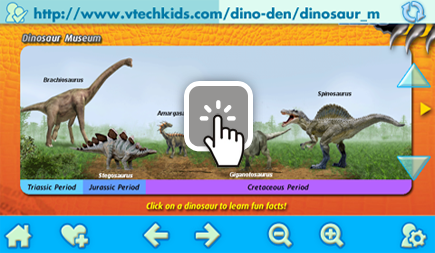 The “New From VTech” video showcases the best new downloads from our library of over 300 learning and entertainment apps including games, music, videos and e-books. Read this tutorial to learn more about this feature. The process of updating the New From VTech video in InnoTab® 3S is the same as the process for InnoTab® 2S. 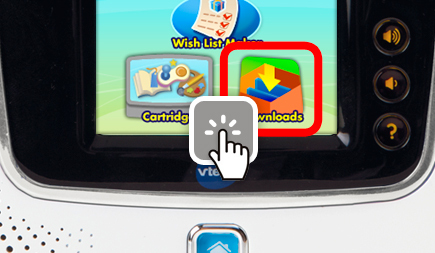 Please use this InnoTab® 2S tutorial as your guide, but note that the New From VTech icon is located in a different place on the InnoTab® 3S desktop. 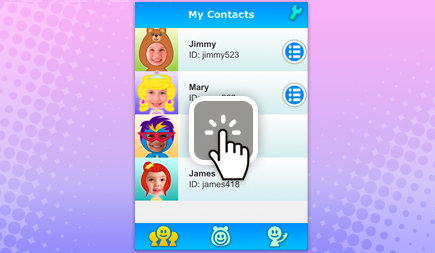 VTech Kid Connect lets kids and parents stay close by sharing messages. Send text and voice messages, animated stickers, drawings, photos and more to your child – right from your smartphone to their InnoTab®! This tutorial will guide you through the process of setting up Kid Connect step by step. 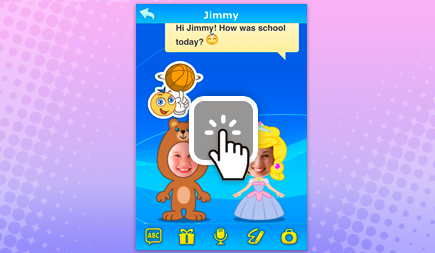 With VTech Kid Connect, your child can send text messages, animated stickers, voice messages, drawings, and photos. Watch this tutorial to learn more about the different message features that are available. This tutorial will teach you how to use some of the advanced features of Kid Connect. 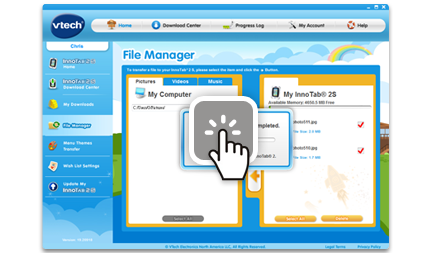 This tutorial covers the basics of how your child can use the InnoTab® 3S Web Browser to visit pre-approved websites. With the InnoTab® 3S Web Browser, your child can browse the web in a safe environment that's controlled by you. 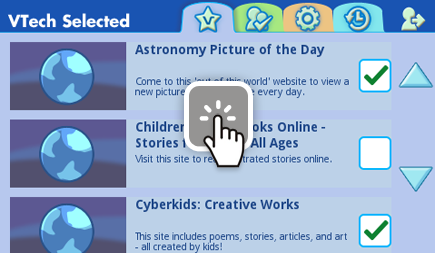 Use this tutorial to learn how to add and remove websites from your child's pre-approved browsing list. Using the Settings menu in Parental Control mode, you can limit the amount of time your child is allowed to spend on the internet per day, restrict access to certain hours of the day, and change the time zone. Read this tutorial for more details.